An island getaway at every sink! 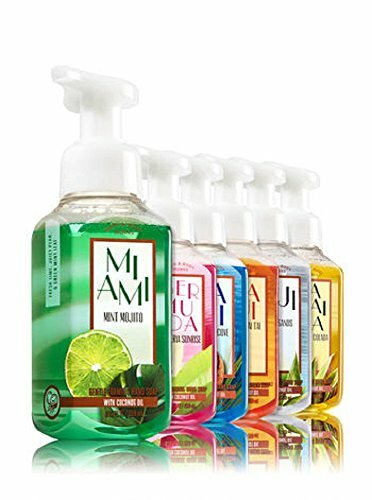 Six of our Gentle Foaming Hand Soap gently wash away dirt and germs with a cloud of luxurious lather. This NEW formula contains soothing Coconut Oil along with Aloe and nourishing Vitamin E to leave hands feeling soft, smooth and lightly scented!